Vermine, Little Jhon, Dagon and Star were preparing the vehicle for their assault to NYC. 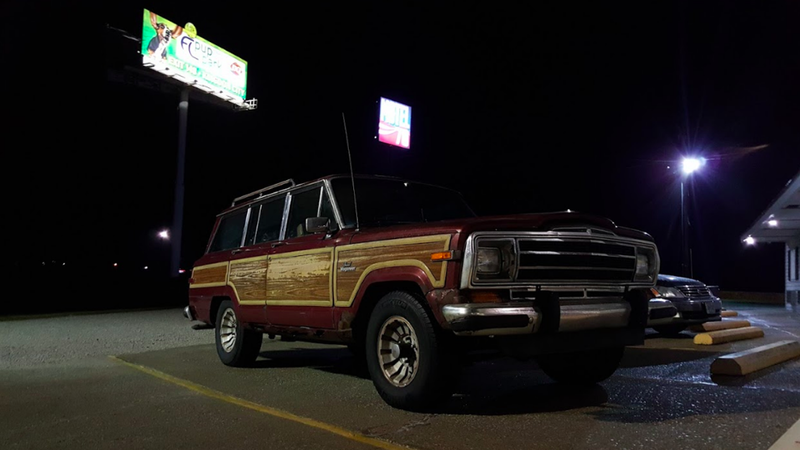 The old 1980 wagoneer had been armored with aditional steel plates in its flanks to resist whatever the Camarilla threw at them. They had a plan use the 787 interstate road and crosscountry to the 84 and flank the Gangrel Gate. Also prepared a little arsenal in case of any surprises along the way. Vermine a Nosferatu, leader of the pack usually wore no obfuscate to council his horrid visage was testing and double checking everything while Dagon brated about how easy this was going to be. Last week they got a call from Pierre telling they passed the Gangrel Gate without issue and now it was their turn. Little Jhon gave Rebecca one of the vests and said.